“Of course God, who imprisoned all in unbelief, will have mercy on all. Of course God, who killed all in Adam, will make all alive in Christ. Of course God, who condemned all in Adam, will justify all in Christ. 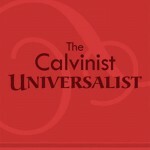 Of course God, who subjected all to vanity, will set all free.” (Stephen Campana, The Calvinist Universalist ch. 1).